Do you own residential, commercial, or industrial property in the Florissant, Missouri area that is at least forty years old or older? Have you been experiencing sewer system related issues such as toilets that are slow to flush or clog extremely easily? Perhaps you have begun to smell sewer gas in and around your home, place of business, or investment property? Maybe puddles are forming in your yard, grounds, driveway, or parking lot and it has not rained in well over a week? 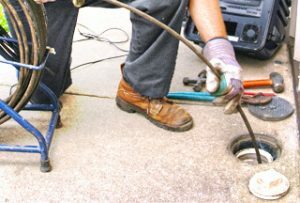 The bad news is that you may very well need major sewer repair work, a system overhaul, or even a complete replacement of your sewer pipeline. The good news is that you can have it fixed before a sewer related disaster strikes. At this point, you may be wondering what exactly happens when a sewer related disaster strikes? Raw sewage and wastewater can leak out of the sewer pipes and go directly into the ground causing an environmental hazard. If it happens to reach the water table than you have a serious issue on your hands from both a financial and legal standpoint. If the raw sewage and wastewater backs up into the system it can actually flood the interior of your property through the toilets, water faucets, sink drains, and shower and tub drain. The raw sewage and wastewater are full of bacteria, diseases, and other extremely dangerous health hazards. Anyone that comes into direct contact with it or breathes in the fumes may very well get sick. Many people have been hospitalized and some even become infected with chronic diseases. If your sewer pipes are broken it is important to know that there are forward thinking plumbing contractors, like Nu Flow Technologies that rely on advances in plumbing technology instead of excavating trenches. With the trenchless Nu Flow pipe lining system both the cost and time frame can be significantly reduced. The process does not require the excavation of a large and destructive trench along the entire length of the sewer pipeline. Only a small access point is required instead. A high-tech machine incorporates the use of the small access point to install a tube into the existing sewer pipes. The tube is covered with a felt liner that is completely saturated in a wet epoxy resin. It also contains an air bladder. Once in place, the tube is inflated, allowing for the wet epoxy resin to be applied to all interior surfaces of the sewer pipeline. Once the epoxy resin is applied the tube is deflated and removed. Within a few short ho, rs the wet epoxy resin cures in place, or hardens to form a brand new pipe within the existing one. The new pipe seals off any chips, cracks, breaks, or rotten spots within the existing sewer pipeline and prevents any further damage from happening. It will also last for well over fifty years. The trenchless Nu Drain pipe lining system is approximately fifty-percent more cost effective than the traditional excavation method. Instead of taking multiple weeks to complete the entire process can be accomplished in as little as one day from start to finish. Nu Flow Technologies is a trenchless industry leader that has been in business since 1998. We strive to provide our customers with the best services and products available at prices that you can afford. Please contact us at your earliest convenience.